Vanessa Krombeen’s fashion-filled days are busy with producing stories for her blog, The Cheeky Been. 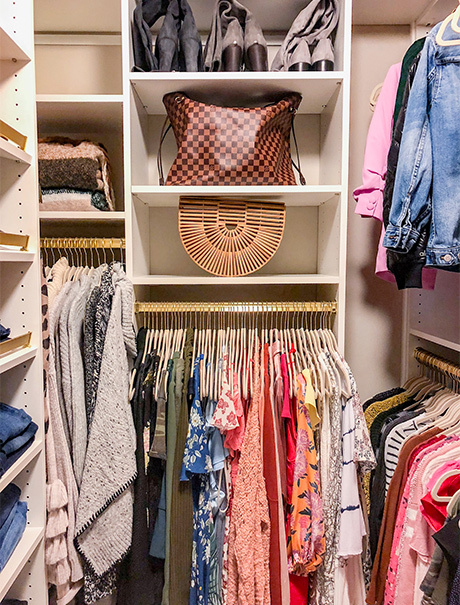 While she writes about style and shares great ideas with her followers, Vanessa struggled with a less-than-inspiring closet of her own that lacked a design to properly accommodate her large wardrobe. 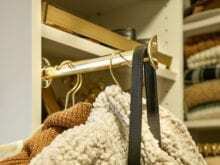 A wire shelf was all the ‘organized structure’ she had, which left her clothes, accessories, and shoes in everyday disarray. Ready for a change, Vanessa reached out to California Closets Charlotte for help. 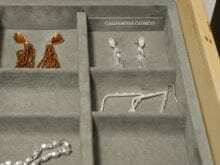 The entire process was so much easier than I anticipated. Installation took about six hours and both installers were friendly, professional, and detail oriented! 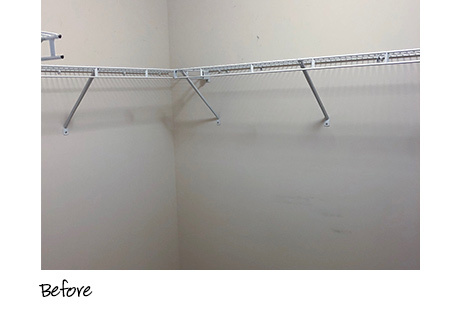 Overall, I'm so happy we chose to work with California Closets. 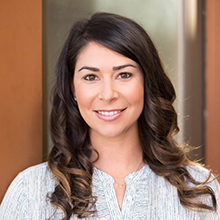 Designer Whitney Hahn knew she had a challenge on her hands given the small space, but she also knew there was still room for LOTS of improvement to give Vanessa the functionality she so desperately needed. After Whitney took a detailed inventory of Vanessa’s wardrobe, they scheduled time to meet at the local showroom so that they could collaborate on the closet design and interact with the range of finish and accessories options. 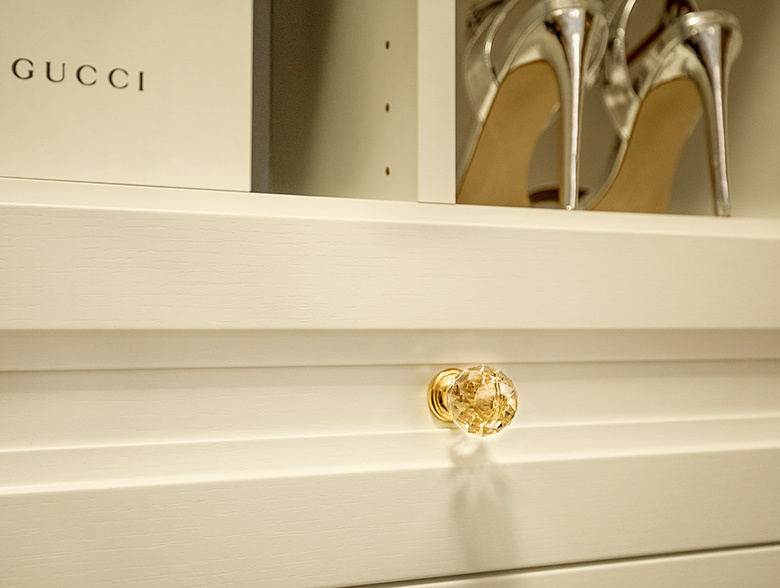 Whitney’s custom design included an area above a drawer stack so that Vanessa could display special keepsake items, such as the shoes she wore on her wedding day. 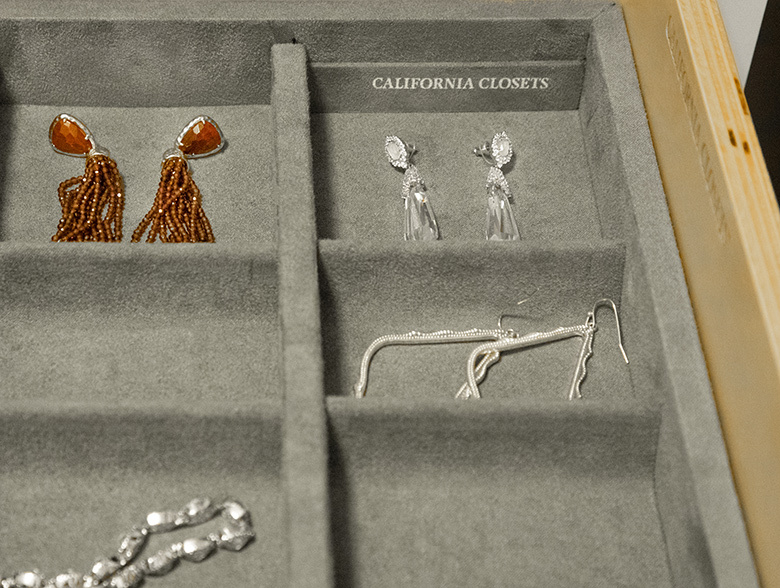 Whitney also incorporated a vertical divider from the top of the drawer to the top shelf to give Vanessa the flexibility to easily adjust the shelf heights depending on her needs over time, as well as a jewelry insert to keep all of Vanessa’s jewelry beautifully organized. I loved working with Vanessa! 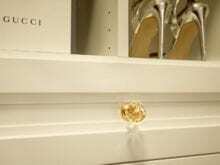 She had a clear vision and left the design details to me to transform her space with the organization she was missing. 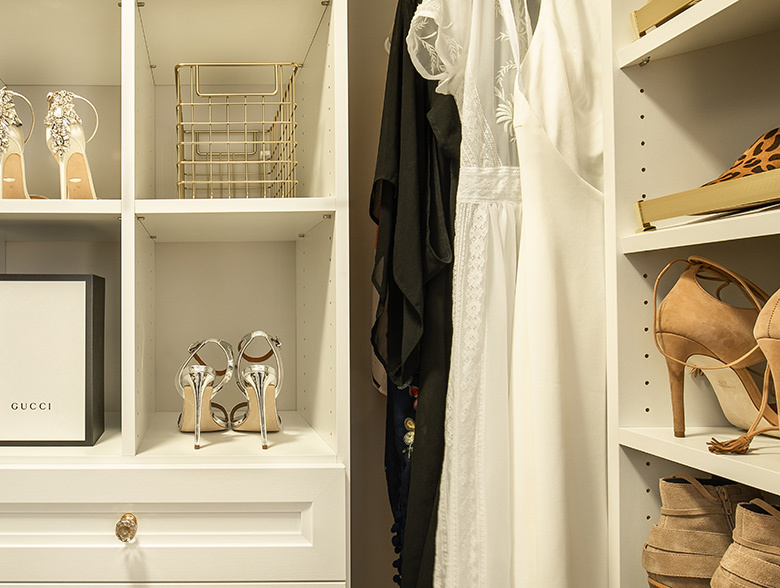 Featuring a classic combination of white punctuated with polished brass accents, Vanessa’s new closet gives her structured space with storage that is flexible, smart, and thoughtfully designed to meet her personal needs and style.